As your life evolves, not only does your financial strategy become more complex, but your opportunities for managing it effectively increase as well. Often, evaluating these opportunities and wisely choosing among them may require the time and experience of a team of financial advisors – one who not only understands your specific challenges, but has access to customized programs that can be properly utilized to provide you with “best in class” solutions. At The FLAG Group at Morgan Stanley, we are a highly skilled advisory team, whose diverse backgrounds, experience and knowledge reflect the unique financial circumstances of our clientele. We focus on what is most important to you and provide the specialized tools, sophisticated strategies and world-class resources needed to make informed, confident decisions about your life, your family and your finances. Working together, we will develop a tailored strategy that lays out a clear path to your goals. Utilizing a formal and proven process, we will explore a broad range of topics that are likely to influence your future – from your family’s financial situation to career aspirations, from educational expenses to the retirement you envision. What we discover will become the foundation of a strategy that is based on who you are and where you want to go. Over time, we will fine-tune your strategy to reflect new priorities in your life or changes in the marketplace. When you look at wealth from a long-term perspective, one thing becomes clear: It’s your future, not just your money. As your team of advisors, we are committed to helping you navigate the distractions of challenging markets, executing and refining your strategy to bring you closer to your personal definition of financial success. Our clients have active lives and seek a team of trusted advisors who will provide them with thorough, unbiased and carefully considered guidance on a full range of financial topics. When you work with us, you will be treated with respect, care, confidentiality and an unwavering commitment to you and your family. While each of our clients have unique personal and professional business circumstances, they all have one thing in common: They are focused on achieving very specific financial goals, so they may secure their family’s financial future and pursue their personal hopes and dreams. We utilize a disciplined process to uncover your most important goals, so we may design and implement appropriate solutions to help you achieve and maintain financial success. We begin with an informal conversation to better understand your financial concerns and determine whether we can add substantial value to your situation. Should we choose to work together, we’ll each commit to moving forward to achieve what is most important to you and your family. We’ll continue the dialogue by fostering an in-depth conversation where we’ll listen carefully to what is important to you. We’ll learn about the values that shape your decisions and identify any unique circumstances. In this step, we may also reach out to your CPA and estate attorney to discuss any tax concerns and understand your existing estate plan to ensure the strategies we recommend are fully coordinated. Next, we’ll review your current and future financial situation, determine the likelihood of reaching your goals and address the impact of unexpected life events. With attention to detail and utilizing our proprietary LifeView® financial planning tool, we’ll determine an appropriate asset allocation mix, select investments and identify specific tax-efficient strategies. Here, we’ll present a comprehensive set of recommendations designed to achieve your goals. Upon your approval, we’ll set into motion a course of action that strives to align your investments with your values and vision. Once we execute your plan, we’ll set up tools to give you convenient access to your accounts. And because personal objectives change and investment strategies evolve over time, we’ll set up ongoing meetings to keep your plan on track and assist with any future financial needs. When developing our team name, we wanted to not only represent the last names of our founders, but wanted to align our name with an iconic symbol -- The American flag -- which reflects our diverse backgrounds, experiences and skills. We firmly believe that it is this diversity that unites us – and empowers us – to come together as a team to identify and implement the best solutions for each client. At The FLAG Group, we are an integrated team of experienced professionals with a complementary set of skills, knowledge and experience. Working together, we provide highly customized advice and comprehensive wealth management services to individuals, families, professionals and business leaders residing in the greater New York metropolitan area and across the country. Our top priority is to help you prepare for all of life’s milestones – your children’s education, your retirement, your estate and your ideal future. Working with your accountant, attorney and other trusted professionals, we help you build a comprehensive plan that encompasses all aspects of your life. 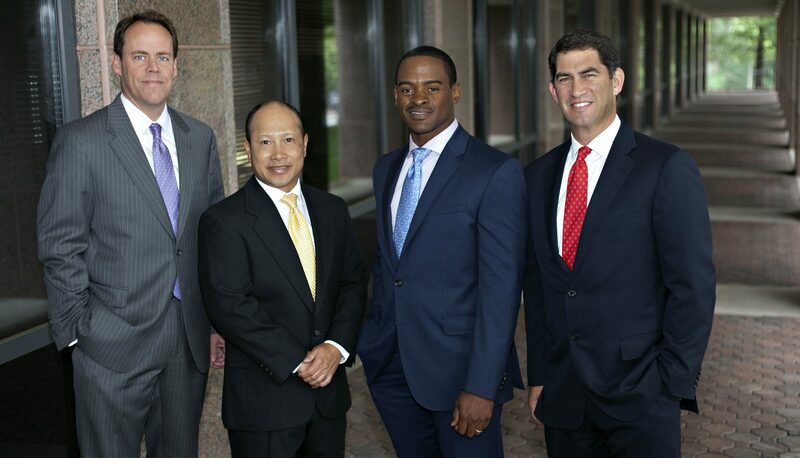 Over the years, we have cultivated skills in financial planning, the capital markets and estate planning. We have developed a strong understanding of the key factors that impact someone’s retirement plan, and are well versed in the equity and fixed income markets. Above all, we have taken pride in our ability to effectively communicate advanced concepts in easy-to-understand language. In our experience all too often, fear drives financial decisions, becoming a major reason why many financial plans fail. We help you go beyond the noise of daily market activity to stay focused on your plans, your aspirations and your goals. At The FLAG Group, our commitment to helping clients achieve their financial goals and aspirations is equaled only by our dedication to our families and our local communities. Through a variety of collaborative efforts, we are deeply engaged in creating a better and brighter future for our communities. Our work with various organizations supports important initiatives and causes, ranging from human rights and healthcare to athletics and the arts. A seasoned professional with more than 25 years of experience, Kevin enjoys working with financially successful individuals and families, providing highly personalized advice through a disciplined wealth management approach. His diverse background in the financial services industry enables him to help his clients understand the intricate details of their personal wealth. He focuses on what is most important to each family, so he can develop a customized plan designed to build, preserve and transition their wealth. After earning his B.A. 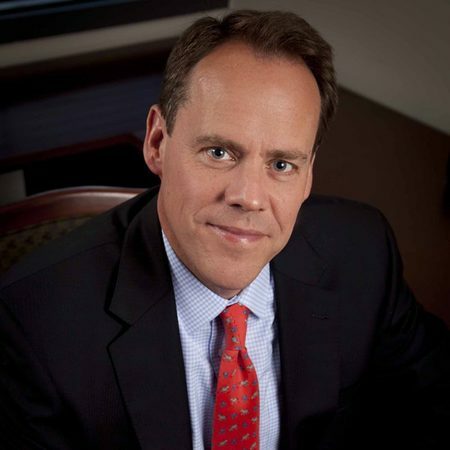 degree in Finance from Siena College in 1990, Kevin joined Merrill Lynch’s Private Client Group in Manhattan. Three years later, he was recruited to the firm’s Institutional Sales Group, where he worked specifically on Merrill’s Municipal Bond Sales and Trading Desk. In this role, Kevin was responsible for consulting and developing business for the nation’s largest banks, mutual funds and money managers. 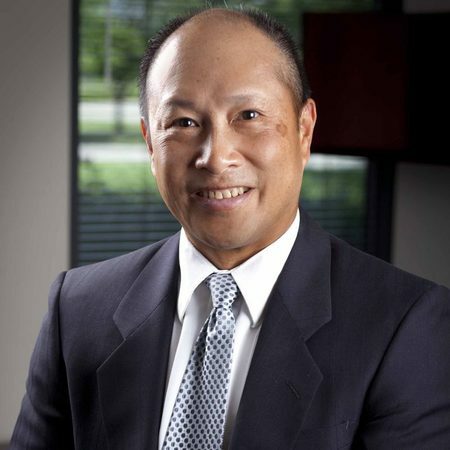 Upon receiving his M.B.A. in Finance from Fordham University in 1997, Kevin returned to the Private Client Group as a Financial Consultant, where he worked closely with individuals and families in solving their financial challenges. In 2004, Kevin joined his colleagues, Michael Gabay and Shaun Freeman, in transitioning their practice to Morgan Stanley. He was asked to assume the role of Producing Branch Manager within the Florham Park complex from 2009 to 2012. Kevin’s passion for helping clients achieve their goals is equaled only by his dedication to his family and community. He and his wife, Beth, reside in Green Brook with their children, Brendan and Gillian. He currently serves on the board of the Franciscan Charities, a local nonprofit focused on combatting hunger and poverty in the city of Newark. In his free time, Kevin loves spending time with family and friends. Over the years, he has coached boy’s travel basketball and girl’s travel soccer. He is also an avid tennis player. Shaun has dedicated his entire career to understanding his clients’ personal financial goals, so he may provide tailored strategies to address their unique circumstances and resources. 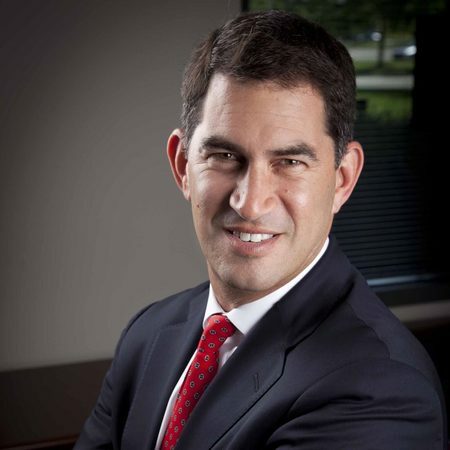 For nearly 20 years, he has earned a reputation for providing highly customized advice and investment solutions to highly successful individuals and families in the New York metropolitan area. He listens carefully to his clients’ goals, values and concerns and works tirelessly to make a difference by providing comprehensive wealth management services with passion and integrity. 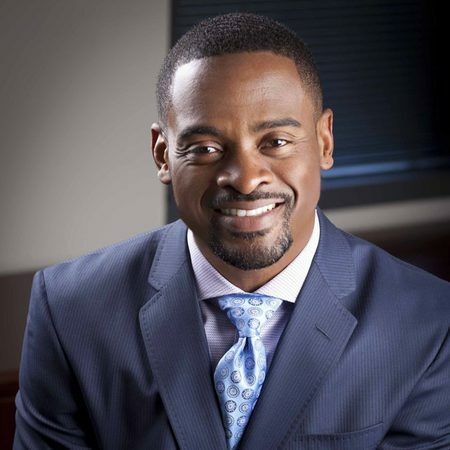 Shaun began his career at Merrill Lynch in 1998 in the firm’s notable Professional Development Program, working with high net worth individuals to create comprehensive solutions for their wealth management needs. While at Merrill, Shaun was part of the company’s Business Financial Services Group, where he worked closely with business owners to identify and implement customized cash management and lending strategies. In 2004, Shaun joined his colleagues, Michael Gabay and Kevin Lawlor, in moving their practice to Morgan Stanley for the opportunity to access the firm’s first-class knowledge across a broad range of family wealth services. In 2000, Shaun earned the distinguished CERTIFIED FINANCIAL PLANNER (CFP) designation, demonstrating his commitment to helping clients address the complicated issues facing today’s wealthy families. Shaun takes pride in his ability to take complex financial concepts and effectively communicate them to his clients. He works diligently to demystify the planning process by understanding their aspirations and values, so he may articulate the key activities to help achieve their specific goals. A graduate of Hampton University with a B.S. degree in Finance, Shaun resides in Northern New Jersey with his wife, Nicole, and their two children, Rashad and Nia. In his free time, he enjoys spending time with family and friends, playing sports, reading and listening to music. An experienced professional for nearly 20 years, Michael is dedicated to helping financially successful individuals and families achieve their personal and professional goals. His results-driven approach focuses on the development of a comprehensive wealth management plan and a commitment to providing outstanding service. Michael enjoys guiding his clients in simplifying their financial lives, so they may enjoy the wealth they have created and leave the legacy they desire. Upon graduating with honors from the University of Michigan where he earned his B.B.A. degree in Finance, Michael continued his studies, receiving his J.D. from the Benjamin N. Cardozo School of Law in New York City, he doe so not currently give legal advice. After law school, Michael joined Ravin, Sarasohn, Cook, Baumgarten, Fisch and Baime as an Associate Attorney before assuming the role of General Counsel and Director of Operations at AIN Plastics, a national plastics distribution firm. After the company was sold, Michael joined Merrill Lynch for the opportunity to share his institutional knowledge and build deeper client relationships with high net worth individuals and businesses. In 2004, Michael became a member of the Morgan Stanley family with his colleagues, Shaun Freeman and Kevin Lawlor. Michael does not currently give legal advice. Michael draws upon his business and investment experience to provide his clients with targeted financial advice and customized portfolio management with the highest degree of personal service and professional integrity. To help ensure a cohesive, coordinated approach, he and his team work closely with their clients’ other trusted advisors, including their attorneys and accountants. Originally from Long Island, Michael currently lives in New Jersey. Favorite leisure activities include skiing, golf and spending time with his two daughters, Amanda and Julia. 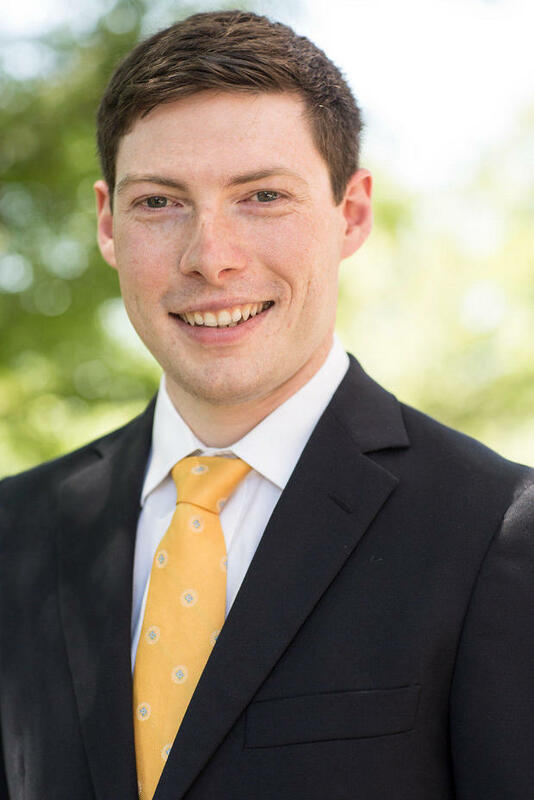 A young professional with 4 years of experience, Brian enjoys working with successful individuals and families, corporate executives, business owners, attorneys and CPAs in providing comprehensive planning advice. His expertise in financial planning and analysis enables him to help his clients understand the intricate details of their personal wealth, manage risk and achieve their most important goals. After earning his B.S. degree in Business Administration from Fairleigh Dickinson University in 2015, Brian joined Morgan Stanley’s Wealth Advisor Associate Program in Florham Park. In this role he analyzed, created, and monitored Financial Planning and Analysis for Morgan Stanley Wealth Management clients. While employed at Morgan Stanley, he was a full time graduate student and Graduate Research Assistant for the Public Mind, a national research organization. He completed his M.B.A. in Finance from Fairleigh Dickinson University in 2017. In 2019 Brian joined The FLAG Group of Morgan Stanley as a Financial Advisor. Brian begins every client relationship by delivering and executing a Financial Plan. As clients experience the inevitable changes in their lives, Brian guides the client through these changes with updated analysis and ongoing communication. A resident of Whippany NJ, Brian enjoys being outdoors, playing lacrosse and golf, and Snowboarding all around America. Drawing on more than 20 years of financial services experience, Hoi is often the first line of contact on a broad array of client services. Highly adept at addressing questions quickly and efficiently, Hoi is committed to providing each client with the highest level of personal service and professional integrity. He has been an integral member of The FLAG Group since helping to establish the team in 2001. From the largest task to the smallest request, Hoi works tirelessly to exceed clients expectations. His core responsibilities are essential to enabling the team to carry out its mission of helping financially successful individuals plan, invest and lead fulfilling lives. He began his career with Merrill Lynch in 1997 and over the years has held a number of important client-focused positions. At The FLAG Group, he is responsible for coordinating all administrative and operational duties for the team. An avid tennis player, Hoi also enjoys home theater. He currently resides in Basking Ridge with his wife, Joyce. Ready to start a conversation? Contact The FLAG Group today. 9Morgan Stanley offers a wide array of brokerage and advisory services to its clients, each of which may create a different type of relationship with different obligations to you. Please consult with your Financial Advisor to understand these differences. 12Morgan Stanley’s investment advisory programs may require a minimum asset level and, depending on your specific investment objectives and financial position, may not be suitable for you. Please see the Morgan Stanley Smith Barney LLC program disclosure brochure (the “Morgan Stanley ADV”) for more information in the investment advisory programs available. The Morgan Stanley ADV is available at www.morganstanley.com/ADV. 14The returns on a portfolio consisting primarily of Environmental, Social and Governance (“ESG”) aware investments may be lower or higher than a portfolio that is more diversified or where decisions are based solely on investment considerations. Because ESG criteria exclude some investments, investors may not be able to take advantage of the same opportunities or market trends as investors that do not use such criteria. 15Participating in a new issue/syndicate is subject to availability and suitability. IPOs are highly speculative and may not be suitable for all investors because they lack a stock-trading history and usually involve smaller and newer companies that tend to have limited operating histories, less-experienced management teams, and fewer products or customers. Also, the offering price of an IPO reflects a negotiated estimate as to the value of the company, which may bear little relationship to the trading price of the securities, and it is not uncommon for the closing price of the shares shortly after the IPO to be well above or below the offering price.